Samford University’s Department of Biological and Environmental Sciences will host the special presentation “Saving Africa’s Giants” Friday, Sept. 19 at 2:30 p.m. in Christenberry Planetarium. The free public event will feature African Wildlife Trust (AWT) founder and chairman Pratik Patel speaking about “blood ivory” and how to save Africa’s elephants from extinction. Patel is a third generation Tanzanian whose family has been involved in the safari photo and ecotourism business for more than four decades. According to AWT, 60 or more elephants per day are being killed for their ivory. 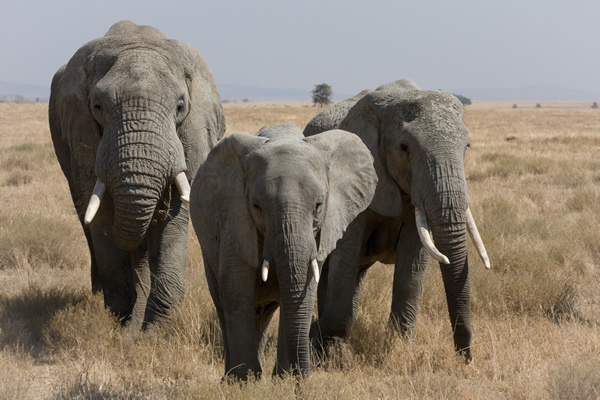 At that rate, elephants in Tanzania will be extinct in 5 years and all of Africa in 8-10 years. Patel works closely with the government of Tanzania to fight the catastrophic poaching, and was one of the first to link international terrorism with ivory poaching, a fact now widely recognized. Patel promotes a deeper understanding of the endangered wildlife trafficking epidemic the world is facing. His goal is to enable specialized intelligence-led anti-poaching units and a team of conservation consultants to focus on proactive effective wildlife law enforcement.